We've two great deals for you this month. 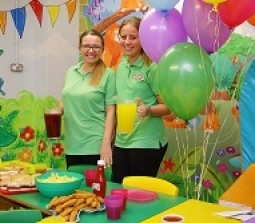 £20 off our popular After School parties - just £99 for 10 kids! Free one month unlimited entry pass for the birthday star when you book a party for any weekend this year. But hurry - this offer is only valid for bookings made before 28th Feb 2019.